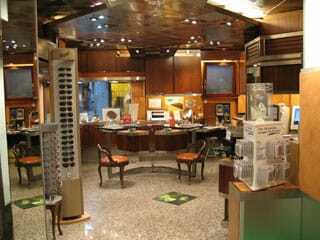 She was referring to the fact that the main image inside our shop is Cardinal Ugo da Provenza, wearing spectacles on his nose. He had been painted by Tommaso da Modena between 1348 and 1352. 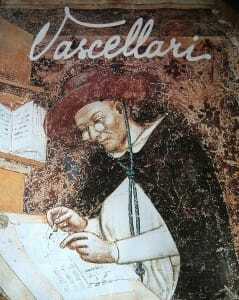 It is possible to see the fresco in the cloister of S. Nicolò church in Treviso, and it is the earliest image of a pair of glasses. 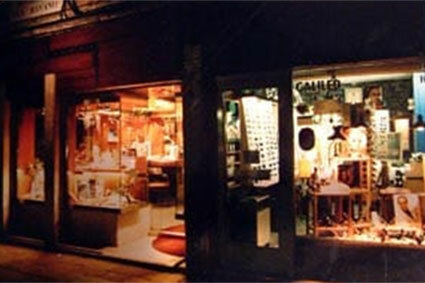 We decided to assume this image as a symbol in 1996, after the shop had been restyled, to celebrate the 50 years in this field of our father, who is the founder of the business. 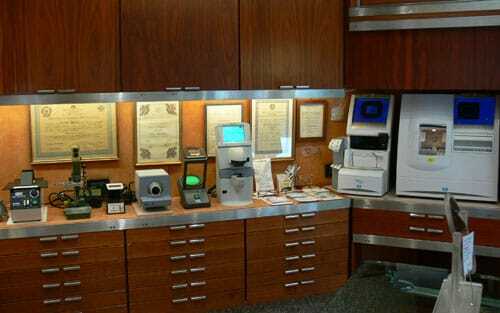 Our family had been in the world of optics for generations. In fact in Calalzo di Cadore ( loc. “Le Piazze”) in an old water-mill, the first factory was started, and now it is the main factory of an industrial pole, mainly regarding this object. Lozza factory celebrates the 500 emplyees goal. 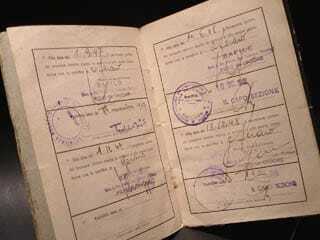 In the circles, one of the Vascellaris and the Grandpa. It was the Grandfather in the ‘30s, after he closed his own business, to dedicate himself to watching over the Lozza factory, introducing his 12 children in this field. 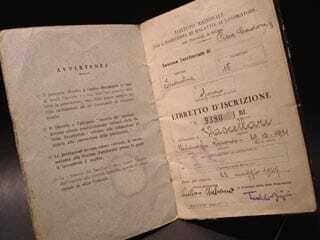 After working in the factory for some time, the four sons moved from the Dolomites to the Country and they opened Optics stores, while some of the daughters dedicated themselves to make frames, when they married this field’s businessmen. 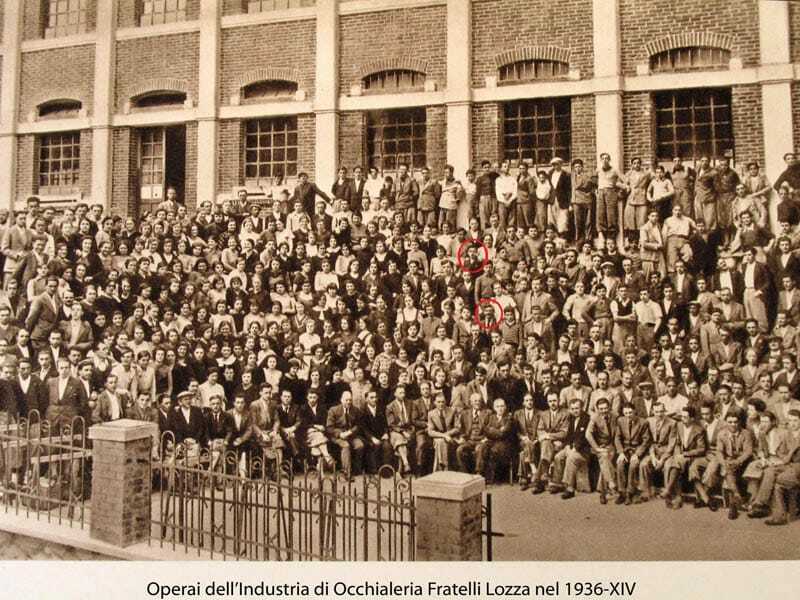 It was October 18, 1946 when Urbano Vascellari, who was 14 years old, had been employed in the Safilo factory. 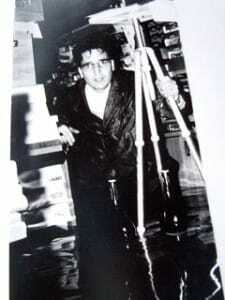 He left the factory in 1957, but he had been employed in each sector of the factory. 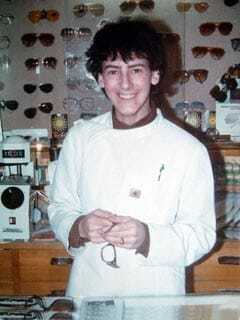 During this time, he got the degree in Optics. 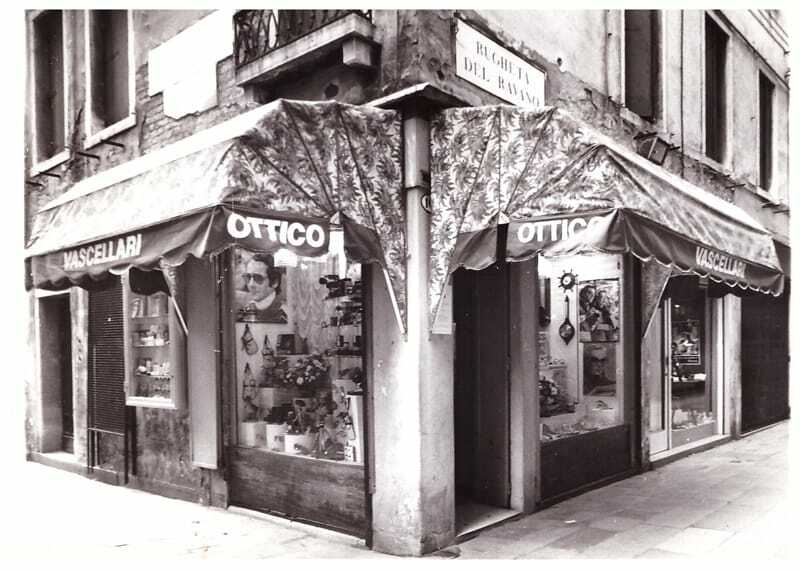 Then after the death of an optician that had the same name, he became manager of his shop in Venice from 1957 to 1959, when he founded “Nuova Ottica di Urbano Vascellari”. 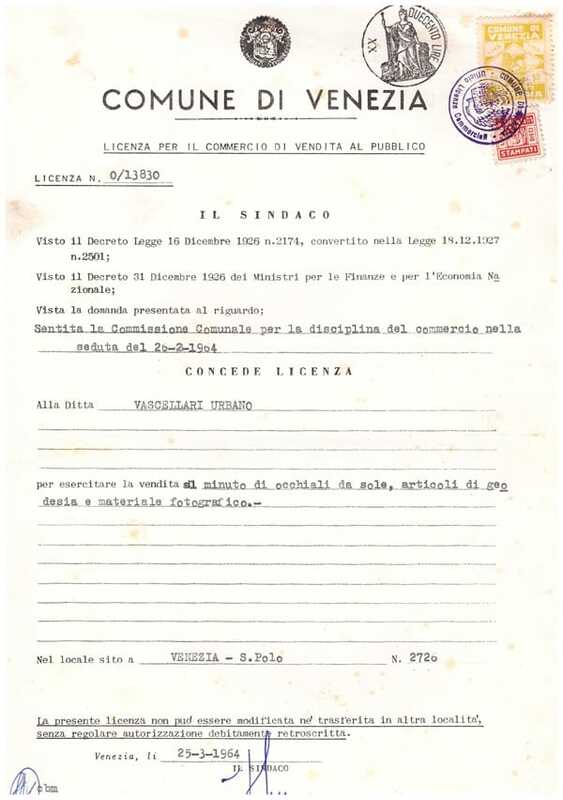 In 1960 in Venice he married Luciana, and this is how our family had started. 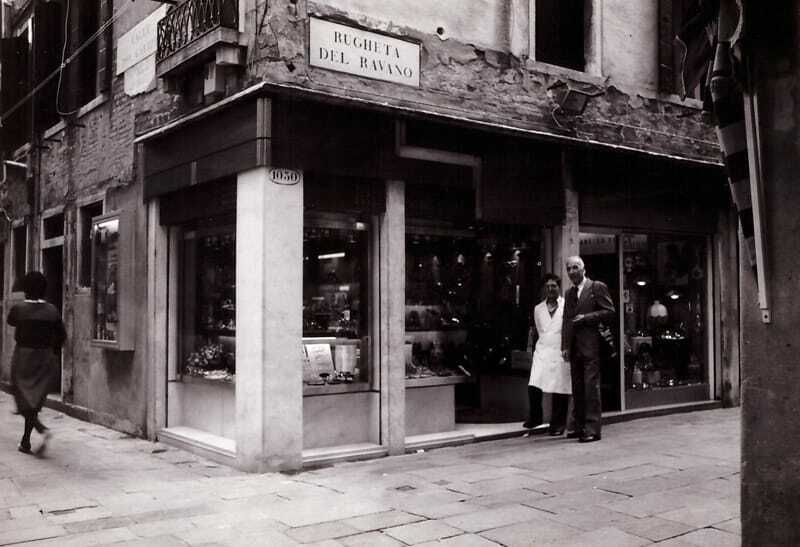 In 1964 he opened the shop where we are now, called “L’Ottico di Rialto”. 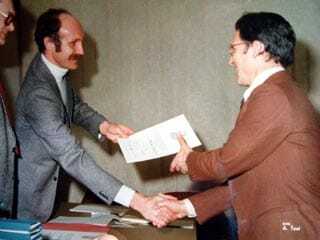 He always looked for new professional suggestions to enlarge the range of offers to our customers, still dedicating each spare moment to his family and to refresher course at the same time. 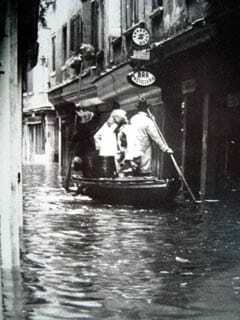 He had resisted to the temptation to move his business to the country after the great flood on November, 4 1966, when three natural elements (Full moon, south-east wind and low pressure during a rainstorm) joined together against the city of Venice, and we had an extraordinary high water, that raised up to 193cm over the sea. That time we had 85cm high water in the shop for over 12 hours. 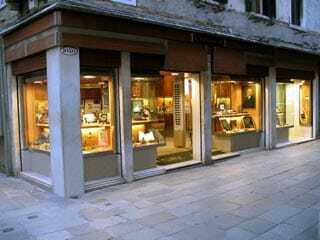 Rialto is one of the lowest parts of Venice. 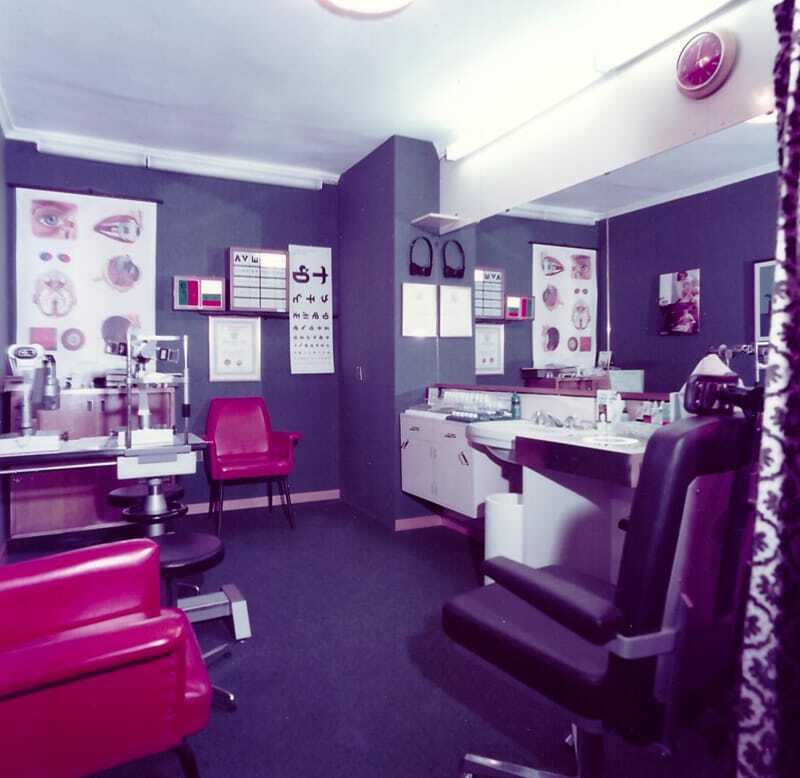 In the ‘60s the main business was photography, but in the ’70s contact lenses were introduced and Optics became the main business, until we got rid of all the photographic material in the ‘80s. 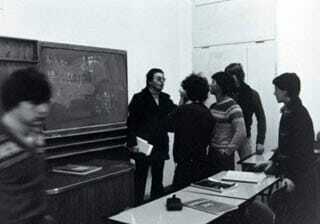 In 1981 the shop had been restored, after Roberto, Urbano’s son got his degree in 1979 and joined the business. 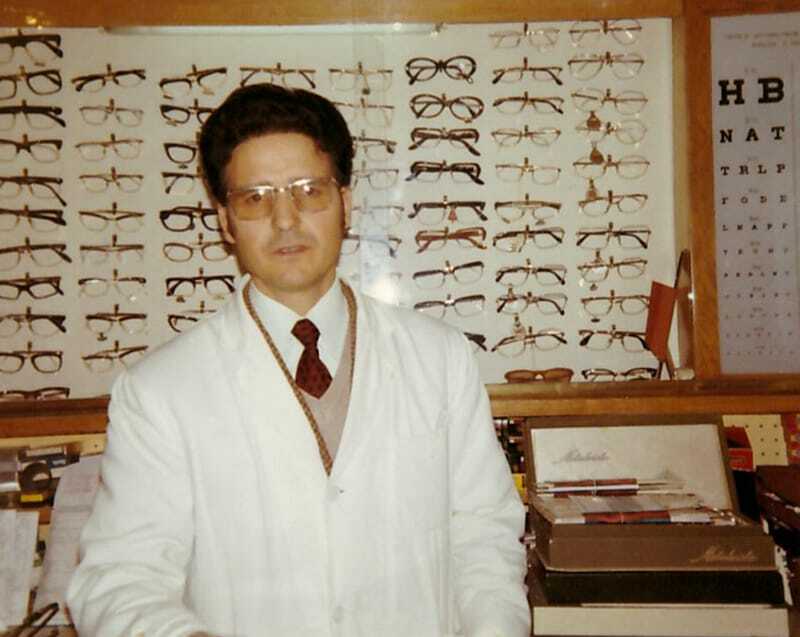 These have been the most important years to a professional turning point, as first Roberto, in 1981 and then Urbano in 1982, got the degree in optometry and then Cristina joined the team after she became Optician in 1982 and Optometrist in 1984. 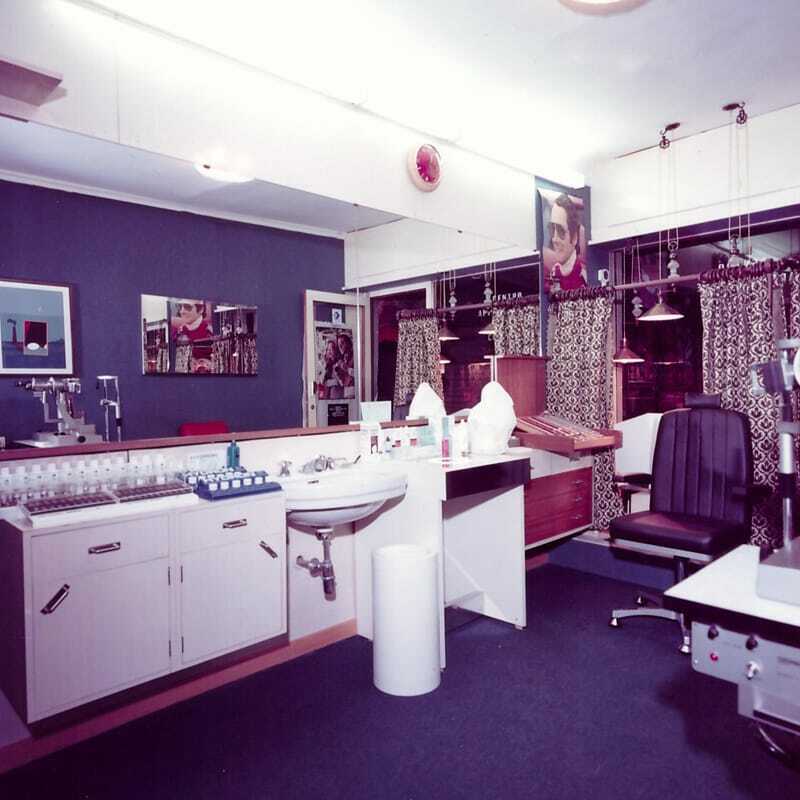 It had been decided then to create a separate room to be dedicated to the contact lenses and to the visual analysis, which had to be separate from the shop and with accurate and complete instruments. 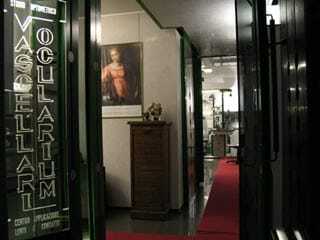 Less than 30 metres away from the shop, after a restore that took over 5 years (only who lives in Venice can understand), the “Ocularium” studium was inaugurated on December, 13 1989, the day that celebrates S. Lucy, patron of the eyesight. 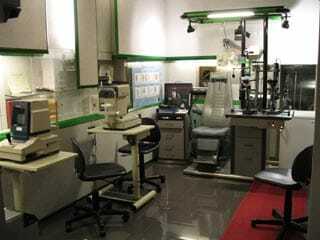 Then new subjects, such as Visual Training and Low Vision. 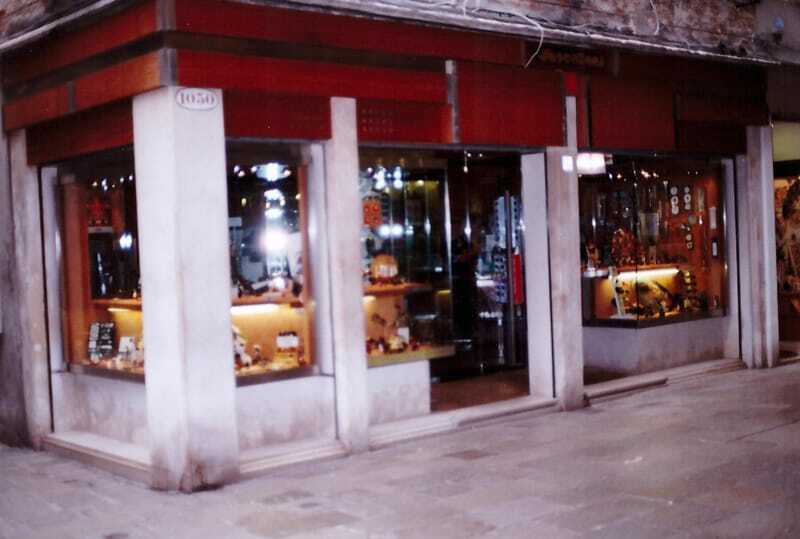 As said, the shop have been enlarged twice, first time in 1996 and then in 2005. 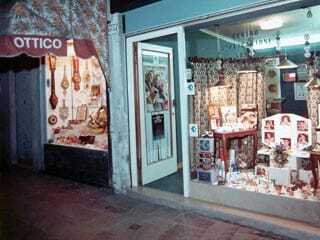 Beside the selling corner, there is also an assembling corner in the store. Being precise while assembling it has always been one of our targets. 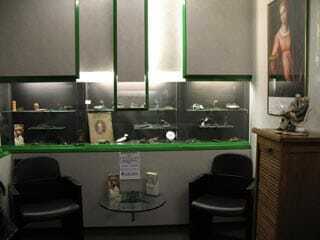 A pair of eyeglasses is not good if when wearing it the wearer is not in symbiosis with it. 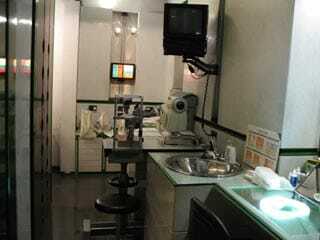 Only a personal assembling after a selling guided by our staff, can correct any kind of visual defect. 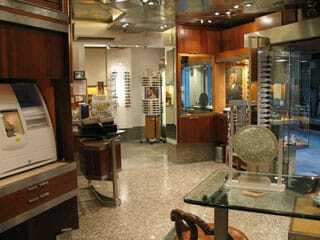 When choosing a frame we cannot only think about the way it looks, as any customer needs different lenses or frames according to his anatomy. So only an experienced staff can guide you to the right choice. Luana, Roberto’s wife, and Renato, who is also our reference for foreign countries are our collaborators. Clicking on the link below, you will be redirected to a video that explains all the single steps in the manufacturing process. "HOW WE MAKE OUR FRAMES"